Various other solo, duet and chorus work in many venues, including live and recorded Television and Radio programmes for BBC's Songs of Praise, Sunday Worship, the Daily Service and Sunday Breakfast on BBC Radio Manchester. Also ITV's My Favourite Hymns and live local radio Carol Service. Performances in ITV 1's Body Check and Granada Tonight. 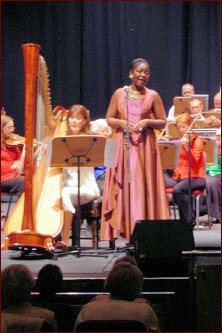 Various television appearances with The Gathering and featured soloist on The Music Makers. Various Solo, Duet and Chorus work on television and radio with the Manchester Gospel Choir. Soloist on radio Be in Tune. Invited interviews and songs on Radio Manchester, Radiosonic and Refresh FM.